Home > Shop By Brand > McKee's 37 Waxes, Compounds, Coatings > McKee's 37 Krystal Vision Glass Cleaner 128 oz. Try McKee's 37 Krystal Vision Glass Cleaner for yourself. Spray the windshield. Wipe up and down, then side to side. Fold the towel and continue with a clean side. Right before your eyes, the glass will clear up completely. We’re not talking clear from one angle, smeared from another angle. We’re talking CLEAR, no matter how you look at it. No ammonia, which accounts for the neutral smell. 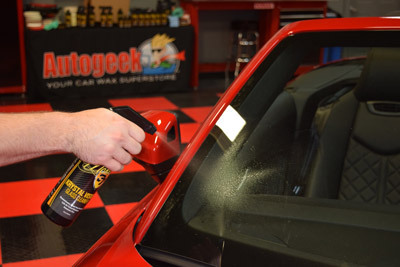 Ammonia is an effective solvent but it destroys window tinting. 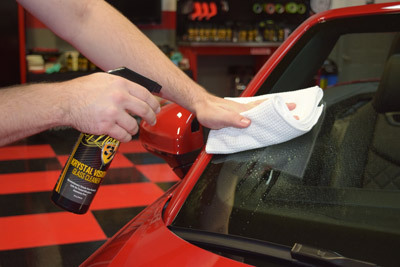 Most makers of car care products have long ago discontinued the use of ammonia in glass cleaners. Detailer’s Pro Series Krystal Vision is safe on all tinted windows. The best window cleaner ever. With blue microfiber towel, streaking is impossible. second time to remove haze. McKee's 37 Krystal Vision glass cleaner is GREAT, and cheaper in Bulk ! I have tried various glass cleaners on the market to remove the film from inside my windows with little or no sucess until now. Since we have a glass shower which get kind of funky with the soap I thought I would give it a try there. Wow what a job it did. 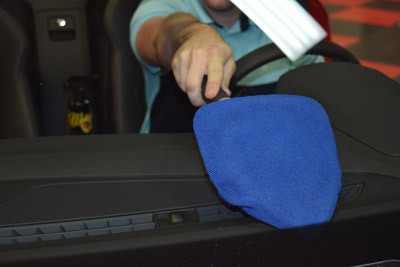 Works amazing, best cleaner I have found for both windows and mirrors on cars,boats and in the home. My cleaning person was so amazed that they asked me to purchase them some. ConsPrice, but okay if you catch it for sale on Autogeek.